The actor realized in his teens that his vocation was to make people laugh. Nowadays, Kevin Hart is a successful American actor who does not fear to make fun of himself. 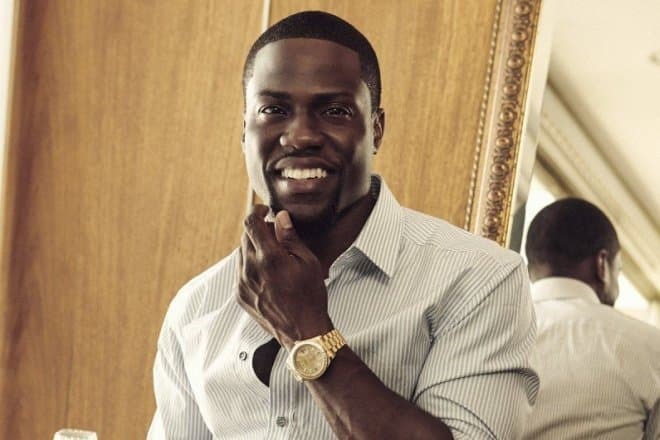 The actor's creative career is also connected with humor as most of Kevin Hart's roles are comedic. The actor is especially in demand in action comedy movies or adventure films, where he gets the role of unsuccessful police officers and superagents, or, conversely, skillful thieves and scammers. Kevin Hart was born on July 6, 1979, in sunny Philadelphia, but his childhood and youth were not as cloudless as the weather there. His father left the family, and the mother raised her son alone. Kevin was a good student at the school in order not to upset his mother, and he did not play pranks in class. At the age of 16, he graduated and entered Temple University in Philadelphia. Kevin studied at the university for two years and had to leave studying because there was no money to pay for it. He found a job of a salesman in a shoe store. He did not like this work, so in his spare time, Hart participated in casting for talent shows and comedy shows. Kevin tried not to miss a single audition. He believed that one day he would be lucky. 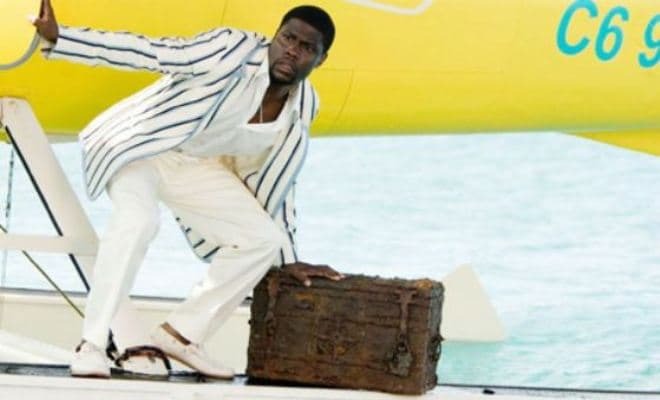 He was lucky in 2001 when the producers of the series Undeclared drew attention to Kevin Hart. The actor played a bit part of Luke, but it was enough for directors and producers to notice him. The following year he starred in the role of Shawn in the film Paper Soldiers. He played a thief who tried to change his life. After the premiere of the film, Hart attracted his first fans. In 2003, Kevin starred in the comedy Scary Movie 3. The role was small, but he considers it to be a turning point in his acting career. A year later, he was invited to play in the comedy Along Came Polly. In 2008, he appeared in front of the audience as a crime boss and a treasure hunter in the comedy Fool's gold. A busy shooting schedule did not prevent the actor from making his comedy show. In 2011, Kevin played one of the leading roles in the film 35 and Ticking, and at the same time, he created a new program of his comedy show. Hart is the first African American, whose show became so popular that the organizers managed to sell tickets worth more than a million dollars within two days. In 2013, the movie Ride Along was released, where the actor played a stupid guard. For this role, he won the prestigious MTV Award. Hart's hero falls in love with the girl, but it turns out that her brother (Ice Cube), a police officer, doesn’t like it. To win the relative’s favor, the young man goes with him on duty, where they take the tests created by the police officer. 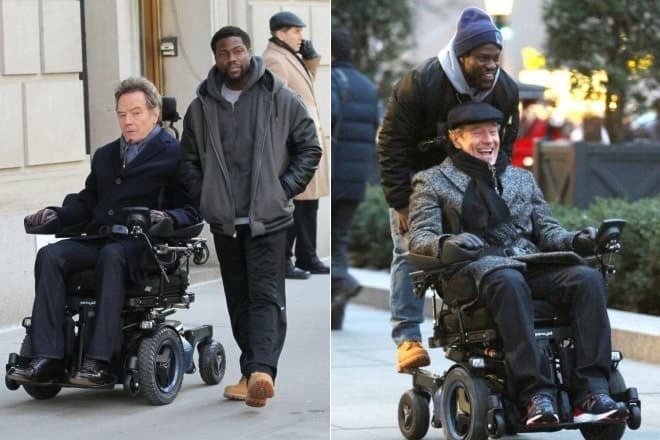 In 2014, Kevin Hart got a prominent role in the comedy Get hard. It tells about a guy, a car washer, who helps an investment bank manager prepare for serving time in prison. Hart's partner on the set was the famous comedian, Will Ferrell. A year later, the audience saw one more film with the actor. Kevin Hart played the best man in the comedy The Wedding Ringer. The film shows an almost surreal story where the couple is planning a wedding, but the groom cannot find a best man, which forces him to turn to a service agency and hire the best man and some false friends. Of course, such a wedding, where unfamiliar people are forced to play the best friends, cannot be without problems. Kevin Hart’s private life has recently been excellent. In 2003, he met Torrei and fell in love. Soon they got married. Torrei is an actress. In the spring of 2005, Kevin became a happy father. He had a daughter, Heaven. Two and a half years later, they had a son, Hendrix. 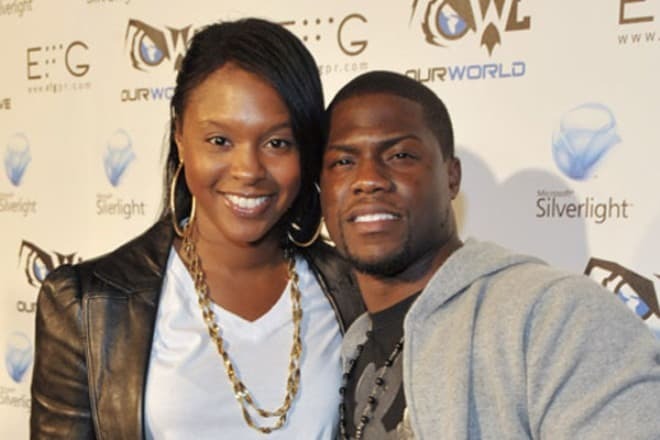 The marriage of Torrei and Kevin lasted until 2010, then they separated. The couple did not comment on the reasons for the divorce. The actor devotes all his free time to work, but he does not forget about the children. New photos of their joint rest regularly appear on his Instagram pages and other social networks. Nevertheless, in 2016 the actor’s fans were pleased with the news about the personal life of their idol. Kevin Hart married. The wife’s name is Eniko Parrish. In November 2017, the actor became a father again. Eniko gave birth to a son, Kenzo Kash. The boy became the first child of the woman and the third child for the actor. On his birthday, the actor shared this joyful news with fans on Twitter. Hart also said that the son feels well and has even started to smile. In 2016, the comedy Ride Along 2 was released, where the comedian played the role of Ben, a graduate of the Police Academy. The film became the sequel to the famous comedy Ride Along. In the new film, the hero is planning to marry his girlfriend, and the young policeman becomes a partner of her brother. The police officers go to Miami, where they have to neutralize the drug cartel, whose tracks are covered up by a powerful businessman. The mission lasts longer than they expected. So, the results of the investigation, as well as the long-awaited wedding are at risk of failure. The same year, the actor participated in two more projects, one of them is Central Intelligence. This movie is also an action comedy film. The Kevin Hart’s hero is Calvin, an ordinary accountant who is sick for school adventures and leads a quiet, slow paced and boring life. The quiet life of the accountant changes after the return of an old school friend, who has turned into a super-agent (Dwayne Johnson) from a donut lover whose schoolmates often laughed at him. The school friends have to save the world together. In 2016, Kevin Hart also voiced the famous animated comedy The Secret Life of Pets. The film tells about the feelings and problems of pets, shows a secret society of neglected and offended animals who want to take revenge on people. The actor voiced a rabbit, Snowball. In late 2017, Kevin Hart played one of the leading roles in the adventure fantasy film Jumanji: Welcome to the Jungle. The plot is a sequel to the famous adventure film Jumanji (1995), but the action takes place 20 years later. This time the board game does not attract children, so Jumanji turns into a video game. It affects the way how the children get into the world of Jumanji. Instead of the children, their game avatars get into the jungles. Hart got the role of an avatar, zoologist Franklin Finbar. The children in the jungles have three lives to go through all levels and get out because the death in the world of Jumanji also means death in real life. 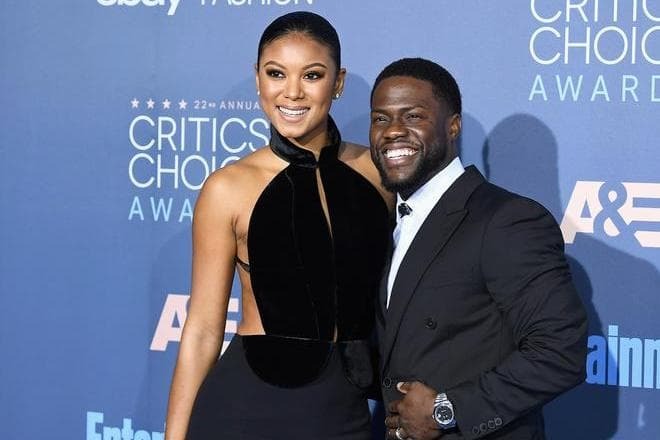 On September 8, 2017, the comedic drama Untouchables with Kevin Hart premiered at the Toronto International Film Festival. The film is scheduled for the general release in 2018. Thomas Jacob "Jack" Black Jr.